It’s the fastest growing sport in the country, and McConnell Golf members have home-court advantage. 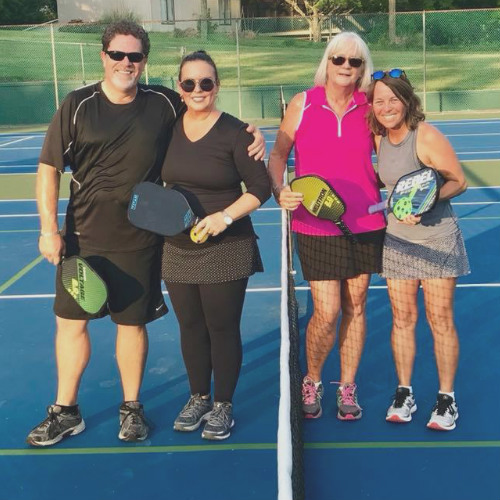 Pickleball is a paddle sport, similiar to tennis or badminton, but with fewer rules and, some would say, even more fun. Holston Hills Country Club and Country Club of Asheville have seen a big interest in the sport; both clubs have a regular group of players who meet weekly. At CCA, Director of Tennis Bill Barber says pickleball is bringing new people to his indoor courts. CCA member Wayne DiCastri recently moved to Asheville from Minnesota, where he and his wife, Ingrid, played the sport regularly. They didn’t miss a beat when they joined CCA last fall. “We have a great core group that plays regularly,” he says. Former Holston Hills intern AJ Newall reminisces on her time at the club. AJ Newall was a little out of breath when I caught up with her for an interview. Such is life for a pro on the LPGA Tour. But before her current eight-week jaunt on the road, and before joining the ranks of the LPGA, Newall enjoyed a slower-paced period of life as a golf operations intern at Holston Hills Country Club in Knoxville. Though she grew up in Tampa, Florida, both of Newall’s parents attended UT – her Dad threw shot and discus for the Volunteers. Their eldest daughter however didn’t necessarily have her heart set on attending her parents’ alma mater. “I’m a bit of a homebody so the idea of going to college so far away from family didn’t appeal to me at first,” she remembers. But that all changed after a campus tour. A few years later, her younger sister Anna would join Newall to play golf for the Lady Volunteers during Newall’s senior year. During her time at Holston Hills, Newall helped with Kid’s Night Out events where she talked up the sport to the club’s youngest members — most of whom hadn’t yet taken an interest. With 12-year-old Anna Claire Gibson, Newall made a lasting connection and to this day sends her postcards from every city she visits on the Tour. While Newall may have passed through the ranks of McConnell Golf employees rather quickly, the club will always have a place in her heart. Meet one of McConnell Golf’s top players. 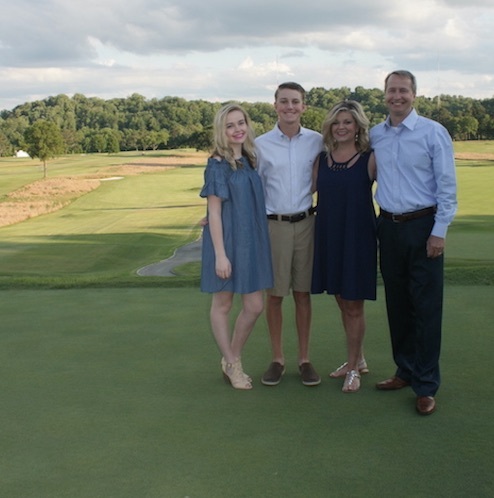 For Holston Hills Country Club Member Todd Burgan, the game of golf is more than just a leisurely way to spend a few hours on the weekend. 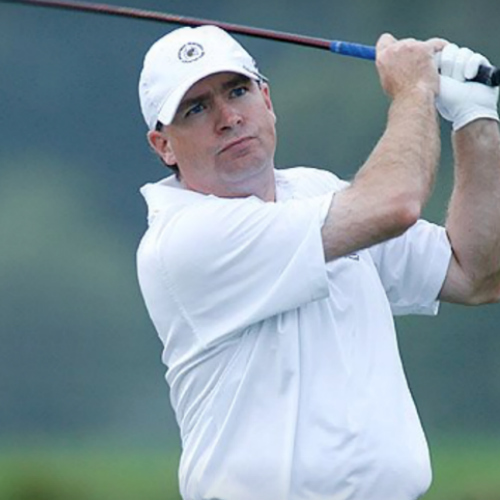 This 49-year-old pharmacist played for the University of Tennessee before being known as one of the state’s best golfers. What makes Burgan one of the best? He’s a five-time Tennessee Golf Association Champion winner, and was named TGA Player of the Year in 2011. I spoke with Burgan about his passion for the game. Matt McConnell: When did you learn to play? lot of boys around that age in my hometown, and we all kind of fell in love with golf and played for years at a little nine-hole course in LaFollette, Tennessee. It wasn’t uncommon for ten or 12 of us to play up to 36 holes a day in the summer, almost every day all the way through high school. MM: What’s been your greatest personal victory? TB: My first individual State Championship in our state match play in 2009 at Legends Club in Nashville. Not only was it special because it was my first state individual title, but the final match was against Danny Green, who is one of the most accomplished players ever in Tennessee. I won in 19 holes by holing a 20-foot birdie putt to win. MM: What’s your favorite thing about being on the course? of being with my friends when I get the chance to play with them either at Holston Hills or on a golf trip. MM: Is there a favorite Holston Hills moment? catch Steve Golliher, one of our club’s best players. I won with a birdie on the first playoff hole. 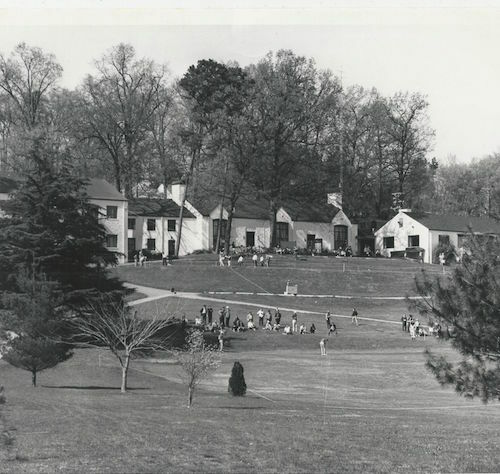 MM: And do you have any favorite Holston Hills memories? few years, and those days, are what I’ll always remember about Holston. Not every sport loves you back throughout your life, but golf — as it often does — proves to be the exception. From Juniors first developing their skills to the fine-tuning and frustrations of adulthood and on into the golden years, our clubs teem with enthusiasts of all ages. Shooting your age just one time is quite a feat. And doing it again? Incredible! So how do you describe someone who has shot their age 363 times? (That’s not a typo!) A member at Holston Hills for 47 years, Reed shot most of these scores on its Donald Ross track. He also has seven aces to his name — so far. How did it feel the first time you shot your age? I was sure it was something unique because I’d been trying for some time. I was getting close in May of 2005 and my birthday is in August. I saved that card and still have it. I’ve saved nearly all of them. What keeps you playing, even after tough days on the course? Simply my love of the game keeps me playing, and being outside with friends is always enjoyable. At my age it’s a little more difficult, but I’ve managed to do it since I turned 87 last fall. What advice do you have for aspiring age-shooters? Practice and improve your short game! Likely the most competitive tennis-and-dinner combo took place in Knoxville. 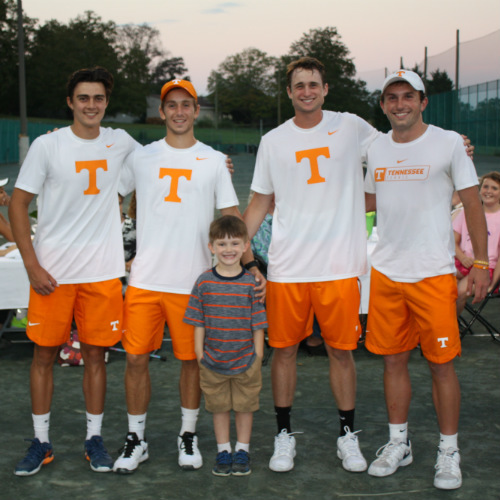 The main event included the University of Tennessee tennis teams playing, which brought a large crowd of Volunteer fans – including the most excited person to be there, Rachel Waddell’s son Corbin, who got to be the ball boy. “It immediately reminded me of Shinnecock Hills,” McConnell recalls, referencing the storied eastern Long Island golf club that was a founding member of the USGA and next year will host its fifth U.S. Open Championship. Acclaimed golf course architect Tom Doak says that of all the Ross-designed courses, Holston Hills comes closest to his original design. This year, Golf Digest ranked the dutifully preserved 1927 course No. 4 in Tennessee, while also including it in its top-100 classic courses nationwide. 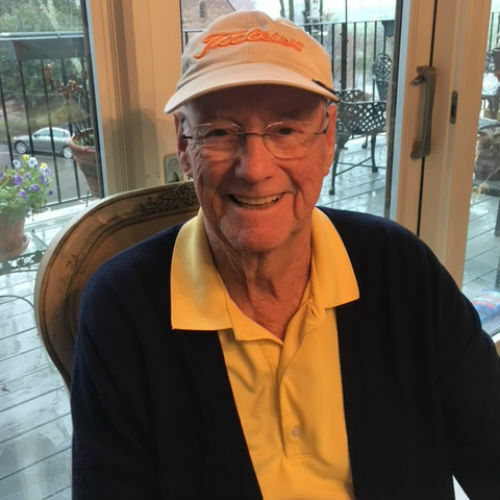 The co-founder of the Donald Ross Society, Michael J. Fay, has said that he would rather play Holston Hills on a consistent basis than any other golf course in the South. If the vision of Ross, horse, and cart culpting the course isn’t enough to give you goosebumps, there are plenty more magical elements to the course. It was here Bryon Nelson won the Knoxville Invitational in 1945, one of his 18 PGA TOUR victories that year. McConnell Golf purchased Holston Hills in December 2015 and — with a nod to the past and an eye on the future — immediately started to bring renowned architect Charles Barber’s building back to its glory days. From its hilltop perch, nearly every hole of the golf course is visible, and the clubhouse takes every advantage to show off the view inside with oversized windows. The most popular outdoor area is undoubtedly the new second-story veranda off the Donald Ross dining room, while an original terrace on the south side of the ballroom also offers space to enjoy the view. Opposite these transfixing vistas, the clubhouse offers subtle hints to its fascinating past. Just to the west of the front entrance, between a row of cypress trees, an unseen door hides in plain sight. And just to the right of the southwest ballroom entrance, exterior steps lead to a seemingly inconspicuous basement door. Except, it doesn’t lead to a basement, per se. Though all other remnants are now sealed off for safety, one part of the “escape route” is still in use. A wide passage way runs the full length of the terrace and is currently used for storage. Another historical nugget that’s often overlooked hangs in the southeast entryway of the Donald Ross dining room. Archie Campbell, long-time member and celebrity of Hee Haw and Grand Ole Opry fame, painted the course and clubhouse landscape in the ‘70s. (Yes, he painted!) These limited-edition paintings were sold to raise money for the club’s west wing, which now houses the Holston Room, fitness center, locker room, and kids’ room. Last year, McConnell Golf added a fitness center and members have since enjoyed extended hours via key fob access seven days a week, giving them the flexibility to customize their workout routines. The former kitchen was completely gutted; an entirely new restaurant opened called the Donald Ross Room. The room includes a bar, high-top and booth seating, and an outdoor veranda overlooking the 18th hole. It’s where everyone goes after a round. The club upgraded the Holston Room for private dining and business meetings. This room has maintained the original arched ceilings and offers a stunning view of the course. The men’s locker room underwent a nice facelift as well. One hundred wooden lockers were added, along with a bathroom and card room remodel. The grand ballroom retained its original 1920s feel with wood beam ceilings, but has added new flooring and windows overlooking the terrace on the golf course side of the club with a great view of the Smoky Mountains. This room seats 250-270 for weddings and events. A relocated golf shop on the east side of the building offers the most current lines in apparel along with the club room that houses fitting carts and all equipment. Members can now enjoy the new portico when arriving at the club. “It also makes the arrival for golf much more service friendly when using the new bag drop area,” says Chris Dibble, director of golf. And for the kids? The former golf shop has been converted to a dedicated Kids’ Club area with tons of activities. Since last winter, Holston Hills has hosted a monthly, staff-led kids’ program with activities that range from outdoor games to arts and crafts. The club also added its first summer camps this year, allowing kids to take advantage of all the club’s facilities — from learning golf and tennis fundamentals, to cooling off at the pool. Adjacent to the pool, the tennis facility has four Rubico clay tennis courts and two hard courts. The courts are professionally maintained and enjoyed during peak season from April through November, with hard courts remaining in play during the off-season as well. Beyond open play, the club’s growing tennis program features seasonal clinics led by tennis pros Bart Kennedy and Troy Cash. The multi-day clinics help players of all levels sharpen their skills and master the strategy of the doubles or singles format. For the Hayes family - father Tracy, mother Janet, 17-year-old daughter Macy, and 15-year-old son Cooper - Holston Hills is a big part of family life. The family first became involved with the club on a partial membership when the children were young. Macy joined the swim team at six years old, and Cooper started golfing with the junior program at age seven. But when McConnell Golf took over Holston Hills in 2015, the family opted for full club membership. Janet, an attorney, is not a golfer but enjoys the club’s amenities including the fitness center, pool, and dining room. As a busy 17-year-old, Macy no longer competes on the swim team but visits the club often. As for Cooper? For the whole family, Holston Hills is a peaceful escape during a busy season of life.